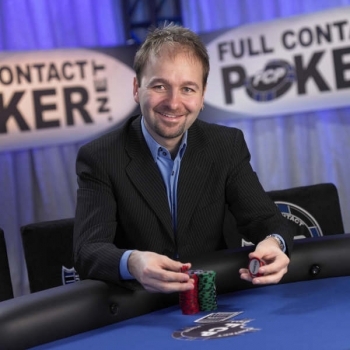 Daniel Negreanu, who is also known as "Kid Poker", was born on July 26, 1974 in Toronto, Canada. He is one of the most known and loved professional poker players and has won four World Series of Poker (WSOP) bracelets and two World Poker Tour (WPT) championship titles. He currently resides in Las Vegas, Nevada and is a vegan since 2003. As a teenager, Negreanu had a dream to become a professional snooker player and at the same time he started learning to play poker at the age of 15. By the time he was 16 years old, Negreanu was spending his time in pool halls, hustling, betting on sports and playing cards. Negreanu dropped out of high school and began living as a rounder playing at local casinos, especially Casino Country. He was also looking for illegal poker games around the city as this was his new way of earning money. At the age of 21, Negreanu decided to move to Las Vegas and pursue his new dream of becoming a professional poker player. He was forced to move back to Toronto before achieving goal later on. 1997 was the turning year in Negreanu's life as he won two events at the World Poker Finals at Foxwoods, earning $55,064 and also being named the tournament's best all around player. From this point on, he became one of the most successful poker tournament players winning four World Series of Poker (WSOP) bracelets, two World Poker Tour (WPT) events and appearing at 12 final tables. In 2004 Negreanu was named the WSOP Player of the Year, and in the following year he was named the WPT Player of the Year, which makes him one of the best in the poker business. As of 2008, Negreanu won over $11,200,000 in live tournaments only. In August 2005 Negreanu married Lori Lin Weber, but they were separated in November 2007. In June 2007 Negreanu signed with one of the biggest online poker card rooms, PokerStars, to become a member of Team PokerStars. Negreanu is well known for his abilities to read his opponents and know the cards they're holding. He explained that it's important for him to observe what hands his opponents play and how well they play with them. Negreanu appeared on various TV shows such as Late Night Poker, Poker After Dark and High Stakes Poker. He also served as a commentator and a host on Ultimate Poker Challenge. Negreanu published 3 popular books: Hold'em Wisdom for all Players in 2007, More Hold'em Wisdom for all Players in 2008 and his latest Power Hold'em Strategy also in 2008.